Happy Monday everyone! I'm starting off this week with a very delectable blog post, because last week, we finally fulfilled a plan we've been making years ago :) at last hindi na drawing di ba? 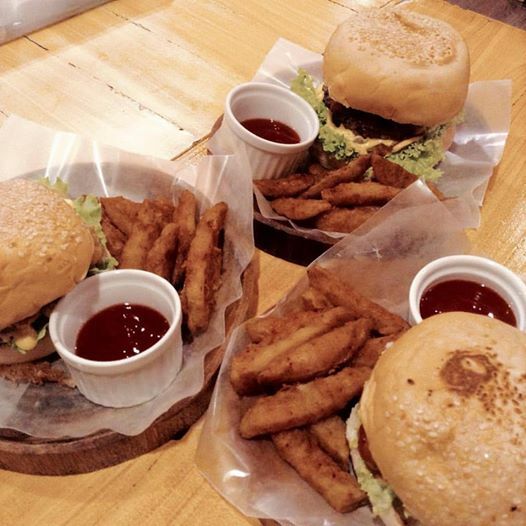 We headed to Maginhawa St of Quezon City- a food haven for food enthusiasts. 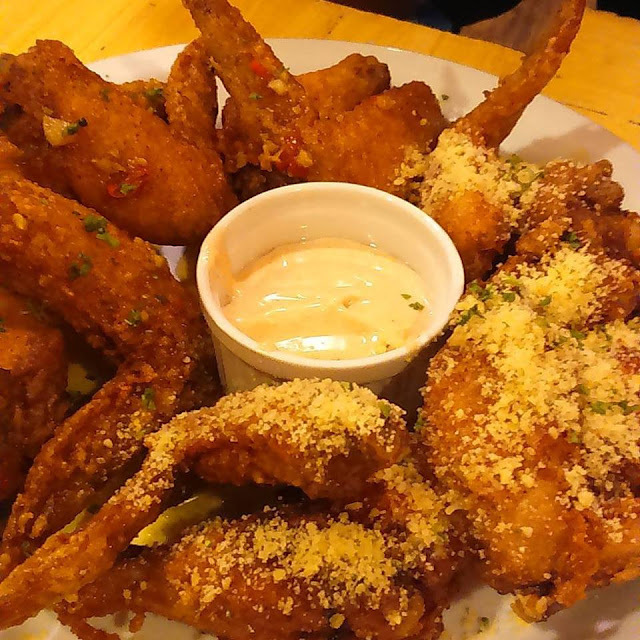 We first went to Buffalo Ribs and Wings, located at 45B Maginhawa, UP Village, Quezon City. 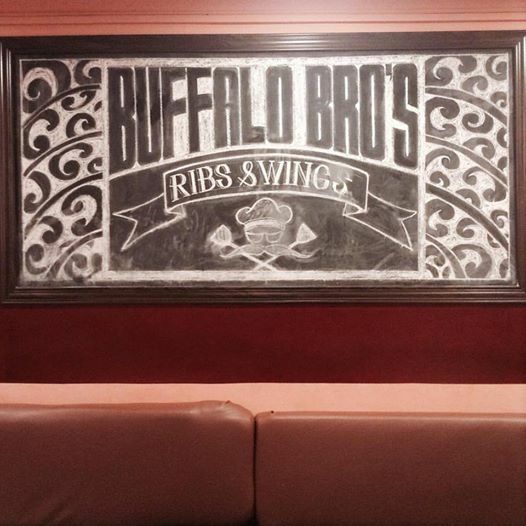 It was of course referred to us by friends who already had a taste of their buffalo wings. I also tried this milk shake. 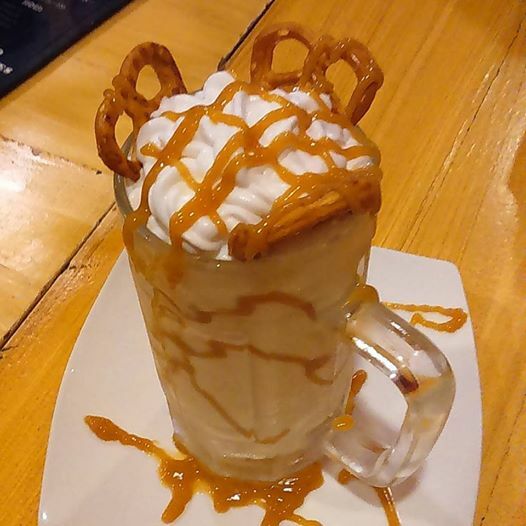 Caramel pretzel for 150.00. If you are not counting your sugar intake, Go for it! My girls ordered burgers for them. I tried a bite (each kind) and what can I say? I love the fries..hahaha! Their burgers are of good price actually but not my taste. i love the real beef patties in burgers eh. These burgers are fried chicken burger, pulled pork burger and I can't remember the other one. Those who ordered enjoyed it naman. I will go back someday soon to try their ribs which is quite affordable too. Okay, now I'm hungry. Very hungry. What fun. I got hungry everytime I look at the pictures too. Thank you my dear and sending you big hugs too! !